A sequel to The Phoenix Guards. I had a blast writing it, and I think it came out all right. These books are almost more fun than I can stand. I was voraciously devouring the Vlad series when my good friend (the one who introduced me to Vlad, actually) remarked that before I read Tiassa for the first time, I really needed to read The Khaavren Romances. After glaring at him and reminding him that’s a fairly substantial body of work, I caved in (mostly because he started loaning me books, and since he’s also my DM I trust his spirit of adventure). 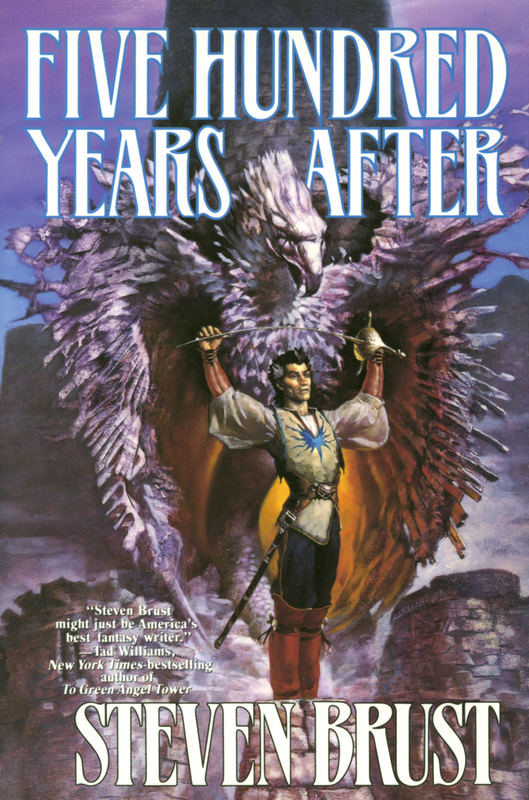 While I enjoyed The Phoenix Guards, this book was what truly hooked me and made me love this series. The “Easter eggs” connecting to my beloved Vlad series, watching Aliera and Sethra bluster with one another, and conflictedly cheering for Mario were all delightful points in this. Above all, I fell head over heels for Adron, even knowing what was to come, which made it a beautiful kind of heartbreak to finish this work. That’s a delightful thing to hear, Karly. Thank you! Adron’s dying words have to be JUST about the best. Absolutely, Kragar. That line is infamy, and it is so fitting for an e’Kieron! It’s moments like Adron’s last that add such complexity into Draegaeran houses for me.